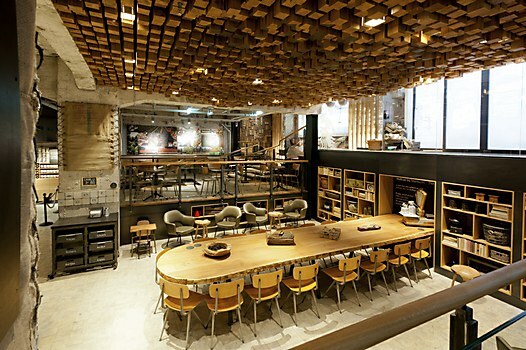 The largest Starbucks store in Europe offers customers a multi-level community area. 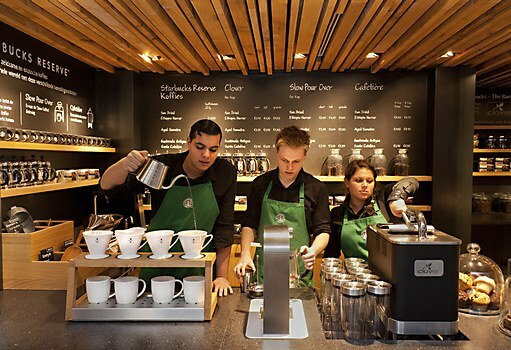 Starbucks recently opened its first concept store in Europe in the center of Amsterdam on March 9. Located in the vault of the historic Amsterdamsche Bank, a landmark building on Amsterdam’s famous Rembrandt Square, and spanning 430-square-meters (4,500-square-feet), it’s the largest Starbucks store in Europe. 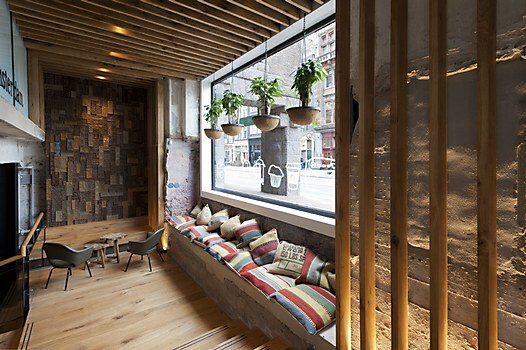 Designed under the direction of Liz Muller, Starbucks director of global concept design, The Bank is a laboratory with a Slow Coffee Theater, hyper local design, floating community gathering spaces and in-store baking. 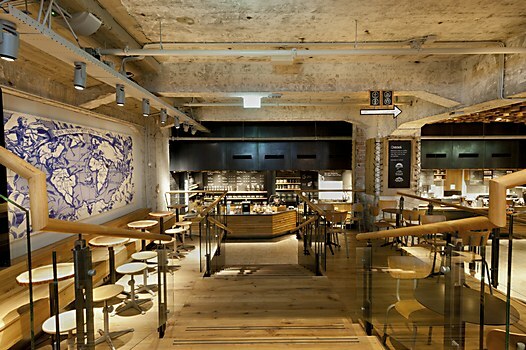 All Starbucks concept stores are a significant aesthetic departure and offer a glimpse into the future of the chain. Built under strict Leed sustainable building guidelines, to reduce the impact on the environment, this store features a floor-to-ceiling tattooed mural celebrating the history of Dutch coffee traders; repurposed Dutch oak throughout the space; antique Delft blue tiles; a ceiling sculpture created from 1,876 hand-cut wooden blocks; and a wall clad in recycled bicycle inner tubes. More than 35 local artists and craftspeople transformed the vault of the former bank into a modern masterpiece. Concepted as a theater space with the 17-meter (57-foot) coffee bar as its stage, the multi-level community areas will cameo as stages for local bands, poetry readings and other cultural activities.